A career in Outdoor Learning can be fulfilling and challenging. You could be a part of the Experience Outdoors team and make a difference to so many lives. As an organisation, our policy of training, volunteering and career progression is key to our vision and policy. Below you will find our current opportunities. We aim to recruit four individuals each year on to the Instructor Development Scheme. This scheme will provide these people with the opportunity of one year’s training and development. Our instructor development scheme is a part of the City of Edinburgh Council’s Outdoor Learning Team. Operating from three different local education centres one based in the City of Edinburgh itself, while the second is based in the Loch Lomond and the Trossachs national park near Dunoon, and the third based in the Cairngorm National Park near Aviemore, which is where this post is based for the year. During your time with us, you may have the opportunity to work in all three centres gaining experience working in different environments/groups improving your skill set as well as working towards and gaining NGB awards. Our Outdoor Learning courses are part of the Curriculum of Excellence and we add valuable content and experience to each pupils learning journey in their School career. Helping facilitate and encouraging individuals to be Successful learners, confident individuals, responsible citizens and effective contributors. They also learn to respect the interests of others, build a love for the environment and take shared responsibility for their learning and own actions. These courses give depth to the personal and social education of the pupil allowing them to build their skills as well as exercising important social skills, such as teamwork and leadership. This scheme is aimed at those who are already resilient participants in the outdoor world and want to formalise what they already do into a solid career as an outdoor learning practitioner. This is ideally someone who enjoys and actively participates in activities such as hill walking, rock climbing, paddle sport, mountain biking, snow sports, and sailing, and uses their spare time to pursue these activities. We offer training, mentoring and practical experience in all the things that make an outdoor residential centre tick. We aim to build on practical experience so you can progress from basic instructing to facilitating sessions at a high professional standard. Outdoor Learning Practitioner Training: Theory and practical sessions focusing on Curriculum for Excellence through Outdoor Learning will be run in conjunction with existing senior staff and EOL’s associate staff team. A developmental programme of shadowing and later facilitating your own outdoor learning course will be the desired learning outcome over the twelve months. Practical NGB Training: NGB’s are the practical building blocks of a solid all-around outdoor practitioner; this may include, MT Summer Mountain Leader Training, MT Rock Climbing awards, BCU UKCC Level 1, Snowsports Scotland Trainee/Instructor award, British Cycling Level 2 Mountain Bike and GB Archery Instructor. Each student will receive an individualized programme through their year which is relevant to their chosen path and the centre's needs. Operational Training: A programme of maintenance and trade training that will allow individuals to operate in any centre and contribute to the daily operations of EOL. Awards such as Velotech Silver Bicycle maintenance, ski/snowboard servicing, ski lift maintenance and practical experience in repairing of outdoor gear as well as general maintenance and gardening. We will also aim to put you through your D1 driving test (Subject to requirements). All this will happen alongside a busy programme of residential outdoor learning which you will be an active part of throughout the evening and weekend programme. You will have access to advise and support to go adventuring in your time off to assist your NGB development. We require a high level of commitment for 12 months; this scheme is not paid however we will provide full board and Accommodation, as well as a training budget. We require you to have held a clean driving license for a minimum of 2 years and be a minimum of 21years of age. Please apply via CV to the below email address or by contacting the Centre directly. 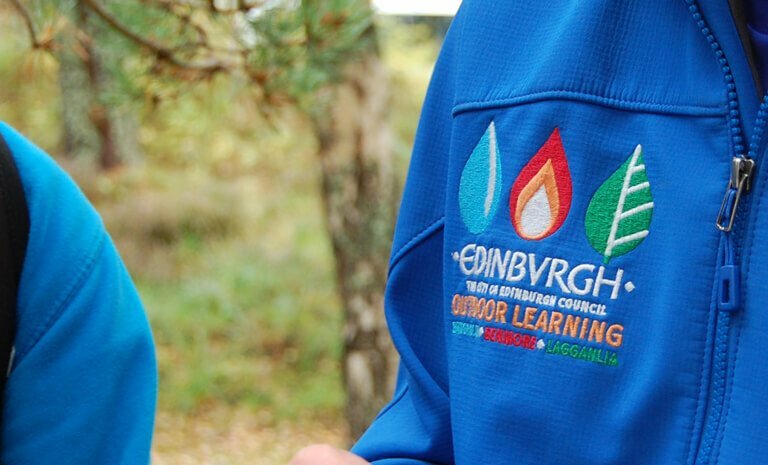 Our instructor development scheme is a part of the City of Edinburgh Council’s Outdoor Learning Team. We operate from three different local education centres one based in the City of Edinburgh itself, while the second is in the Loch Lomond and the Trossachs national park near Dunoon, and the third is in the Cairngorm National Park near Aviemore, where the post is located for the majority of the year. During your time with us, you may have the opportunity to work in all three centres gaining experience working in different environments and groups improving your personal skill set as well as working towards and achieving NGB awards. Our Outdoor Learning courses are part of the Curriculum of Excellence, and we add valuable content and experience to each pupils learning journey in their School career. Helping facilitate and encouraging individuals to be Successful learners, confident individuals, responsible citizens and active contributors. They also learn to respect the interests of others, build a love for the environment and take shared responsibility for their learning and own actions. These courses give depth to the personal and social education of the pupil allowing them to build their individual skills as well as exercising key social skills, such as teamwork and leadership. We aim to recruit up to four individuals each year on to the Instructor Development Scheme. This scheme will provide these people with the opportunity of one year of work experience. This scheme is aimed at those who are already resilient participants in the outdoor world and want to formalise what they already do into a solid career as an outdoor learning practitioner. Ideally, someone who enjoys and actively participates in activities such as hill walking, paddle sport, mountain biking, snow sports, and sailing, and uses their spare time to pursue these activities. We offer training, mentoring and practical experience in all the things that make an outdoor residential centre tick. We aim to build on practical knowledge so you can progress from basic instructing to facilitating sessions at a high professional standard. Outdoor learning practitioner training: Theory and practical sessions focusing on Curriculum for Excellence through Outdoor Learning will run in conjunction with existing senior staff and EOL’s associate staff team. A developmental programme of shadowing and later facilitating your own outdoor learning course will be the desired learning outcome over the twelve months. Practical NGB training: NGBs are the functional building blocks of a solid all-around outdoor practitioner; this may include, MT Summer Mountain Leader Training, MT Rock Climbing awards, BCU UKCC Level 1, Snowsports Scotland Trainee Instructor award, British Cycling Level 2 Mountain Bike and GB Archery Instructor. Each student will receive an individualised programme through their year which is relevant to their chosen path and the centre's needs. Operational training is a programme of maintenance and trade training that will allow individuals to operate in any centre and contribute to the daily operations of EOL. Awards such as Velotech Silver Bicycle maintenance, ski/snowboard servicing, ski lift maintenance and practical experience in repairing of outdoor gear as well as general maintenance and gardening. We will also put you through your D1 driving test, subject to requirements. All this will happen alongside a busy programme of residential outdoor learning which you will be an active part throughout the evening and weekend programme. You will have access to advise and support to go adventuring in your time off to assist your NGB development. We require a high level of commitment for 12 months; this scheme is unpaid however we will provide full board and Accommodation, as well as a training budget. We require you to have held a clean driving license for a minimum of two years and be a minimum of 21 years of age. We are accepting CVs throughout the year for the four positions and will interview at the beginning of May each year, with a start date in mid-August each year. Any interested parties will be asked to visit the centre for three days in May so that you will know more about how Lagganlia operates and see if the position is right for you. The interview process is three days to enable you to go out with an instructor and get a good idea of what the scheme will involve. Please email a copy of your CV to the relevant centre address below, or for any enquiries about the post. Please also feel free to phone the centre to chat about the vacancy. We require additional associate instructors to supplement our regular staff at this busy 110-bed centre, situated on the Clyde estuary 50 miles west of Glasgow, working mostly with clients from The City of Edinburgh. You will have a range of NGB awards from First Aid, SPA, ML, BCU kayak or canoe, UKCC level 1 +, RYA Dinghy Instructor/Powerboat level 2, Trail Cycle Leader, CL, BOF level 2, and Local Cave Leader 2. Minibus driving is an advantage; most of our minibuses require a D1 on the licence. PVG check will be essential. Daily pay depending on qualifications, experience and nature of work. You are likely to work one evening per week paid at £50. We can offer blocks of work to fit in with other commitments, and there is the possibility of more long-term employment in the future. Accommodation is not usually available. Initially, send us a CV, including recent employers who can give us a short reference, and indicate your likely availability over the forthcoming months. We anticipate that suitably experienced staff will need only a brief induction before being able to deliver the majority of our sessions, but we are also interested in less widely experienced staff who may need a longer period of induction. Please email a copy of your CV to the address below, or for any enquiries about the post. Please also feel free to phone the centre to chat about the vacancy. or and enclose a C.V. There are also openings for Trainee Instructors who have some personal competence in the outdoors and have made the first steps in a coaching or leadership scheme. Although trainee instructors are not paid positions, we do provide board and lodgings with a personal food allowance each week and fund your training and assessments for each NGB award. In return trainees will spend their time working with groups, improving their personal and coaching skills and working towards NGB awards as appropriate. Trainees are programmed to work alongside experienced, qualified staff so allowing for on the job training as well as programming additional training for the trainees themselves. Because Benmore is a residential centre, trainees also help with evening and/or overnight duties alongside other staff approximately once a week. Trainees that come to Benmore vary hugely in terms of their background and their level of skills which is why we run an open-ended scheme without fixed start and finish dates. Generally, though, we look for an individual who has some experience and a reasonable level of skill in at least one area of our usual activity areas or has a general outdoor background. In this we are looking for an indication of making the most of opportunities, preparedness to work to gain skills and experience and a genuine interest in working with others, particularly children. With each individual, we draw up a training plan and review this at regular intervals. We work hard to try to ensure that trainees gain what they want from their time here. If you are interested please contact the centre. or . Include a CV for immediate consideration. Read, download and keep The City of Edinburgh Council: Outdoor Learning Unit Volunteer Guidance and Procedures. You will also find the Outdoor Learning Team Volunteer Agreement which should be signed and returned.